My best friend joined Stampin Up recently, and bagged herself a bargain in doing so. 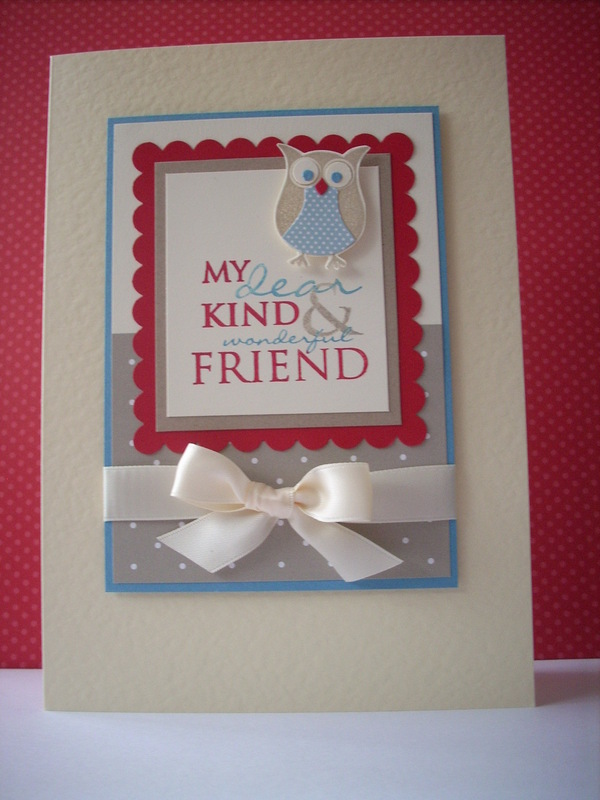 I made her this card, to welcome her to the Stampin Up family…. Cardstock: very vanilla, real red, marina mist, crumb cake; Inks: crumb cake; Punches: scallop edge border, crop-a-dile, ½” circle ; Stamp sets: punch bunch (retired), occasional greetings; Accessories: stampin write marker pens in real red, marina mist and crumb cake, river rock and bashful blue dsp (retired), very vanilla satin ribbon.